Promote the Evangelising Mission of the Catholic Church by assisting families of Catholic Students attending State Schools in New South Wales (NSW) and the Australian Capital Territory (ACT) through programs of religious education and catechesis. Assist the Bishops in their pastoral duty to provide religious education and catechesis for the Catholic children attending State Schools in New South Wales (NSW) and the Australian CapitalTerritory (ACT). Liaise with Diocesan Bishops and the NSW and ACT Catholic Bishops’ Conference in matters relating to Special Religious Education (SRE) in NSW and Parish Schools of Religion in the ACT. Liaise with and support Catholic parishes providing Spec ial Religious Education (SRE) in State Schools and conducting Parish Schools of Religion through the ongoing development of Diocesan leadership in the ministry. Provide professional information and resource support through effective and efficient networking with CCRESS members. 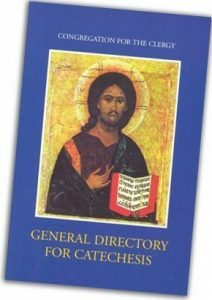 Education and catechet ical programs for Catholic children attending State Schools. Develop guidelines for teacher training, faith education and spiritual formation programs to assist Catholic Spec ial Religious Education Teachers/Assistants (catechists/helpers). Encourage and support ecumenical and inter-faith co­ operation in the provision of SRE in State schools. Provide for greater access to and influence in the formulation of policies related to the provision of SRE in the school and parish through active representation. This is achieved, directly, through participation in the Inter Church Commission on Religious Education in Schools (ICCOREIS), the NSW Department of Education SRE Consultative Committee, Religious Education Unit of the ACT Churches Council, National Confraternity of Christian Doctrine (NCCD) and, indirectly, through liaison with the Catholic Education Commissions of NSW and the ACT, and the National Catholic Education Commission (NCEC). Copyright 2019 CCRESS. All rights reserved.